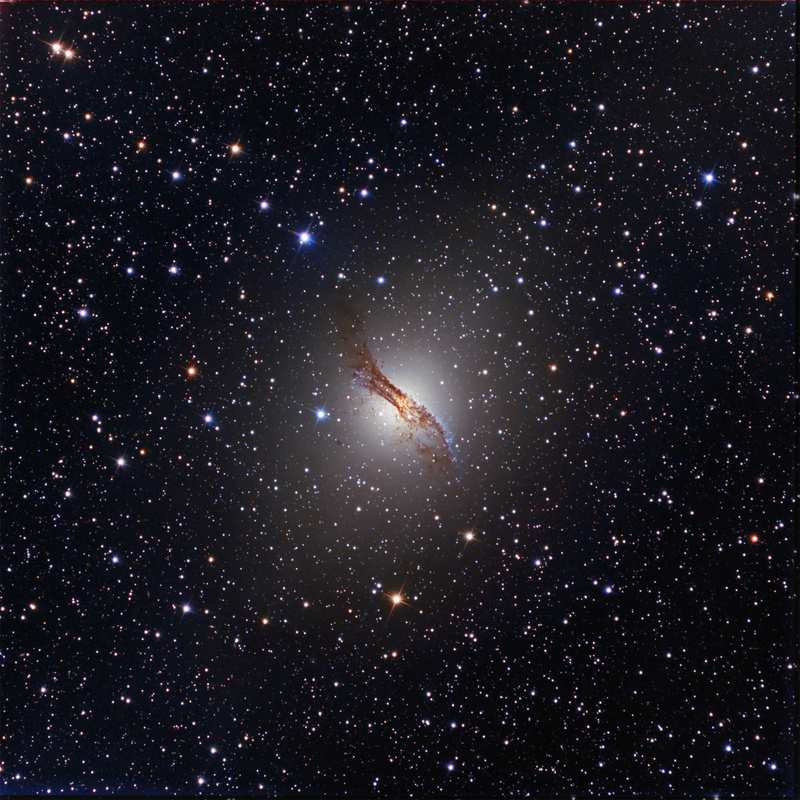 Centaurus A, NGC 5128, is part of the M83 Group and certainly a must imaging target in the southern hemisphere. It is our nearest radio galaxy and is described as being peculiar because it appears as a large elliptical galaxy, but has an enormous dust belt covering the central portion in our line of sight. It displays two large regions of radio emissions, according to SEDS, starting with the polar axis and extending many hundreds of light years on each side.The Chandra X-Ray observatory showed a 30,000 light year jet emanating from the galaxy’s bright, central X-Ray source, which is suspected to be a large black hole. As such, Centaurus A is classified as an active galaxy. As expected, this is one of the Arp peculiar galaxies, Arp 153. Young blue stars are being formed in and near the edge of the prominent dust lane.